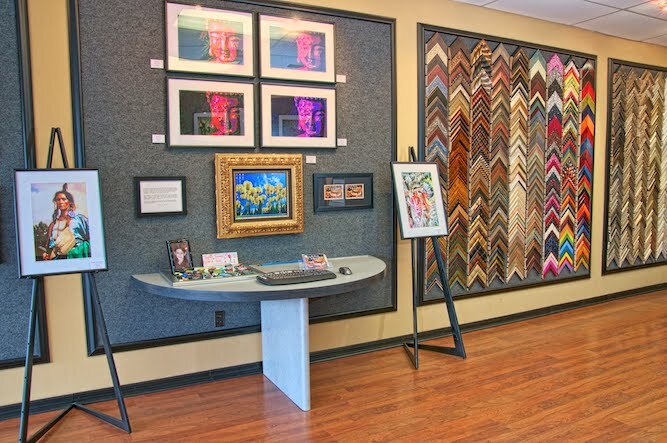 My first show, "A World of Color" by photographer Barry Kirsch opened February 18th. The show ran from 6 p.m. to 9 p.m. and was very well attended. Several photographs were sold and I took orders to provide custom framing for them. The event was so well received I have decided to host another show by Kirsch. The next event, "Grayscale" opening April 22, will feature black and white photography.